A little later, we packed into the car along with GpaD, Great Grandma D and (great) Aunt Nancy. SUPRISE, we're off to KCI again! This made it my second trip in seven days to the Kansas City International airport. (That makes it sound a lot more official and impressive than it appeared to be.) On the way there we made a pit stop at Mimi's Cafe for lunch. Apparently GpaD has some sort of disorder that makes him all crazy and anxious when it comes to airports because he was fidgety and worried the entire time. 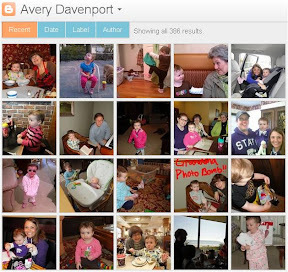 We left lunch in a whirlwind and before I knew it, we were dropping GGD and GpaD off at the curb. Apparently GpaD is going to spend a week or so down in Florida with GGD. MUST BE NICE! Also, no need to fear, I counted all my toes before GGD got out of the car. On the way home from the airport, we stopped at Houlihan's to have a second lunch, this time with Dad. I got to sit next to Dad at lunch and I thought that was a pretty special treat so I gave him some smiles. After lunch, GmaD and I went back to relax a bit after our busy morning. No rest for the weary though because before I knew it, Dad was over to pick me up. After a quick stop at Home Depot to pick up a new grill, we went home to see Mom and my sisters. YEA! 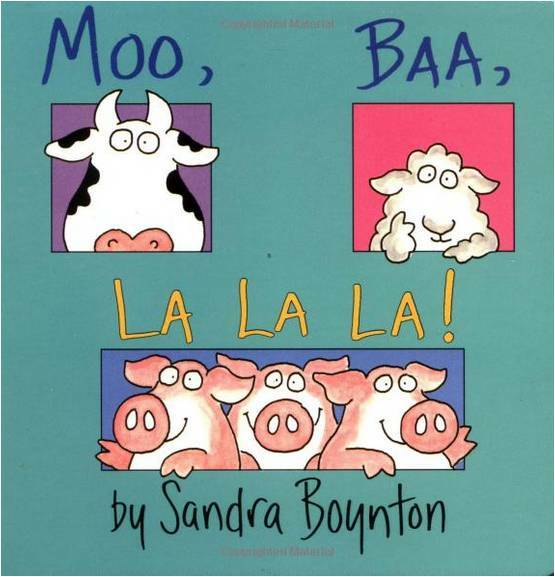 Shortly after we got home, Mom and I read my brand new "book of the month" book, Moo, Baa, La La La. I don't want to spoil it for you but as it turns out pigs don't say La, La, La, they say oink, oink. TWIST! 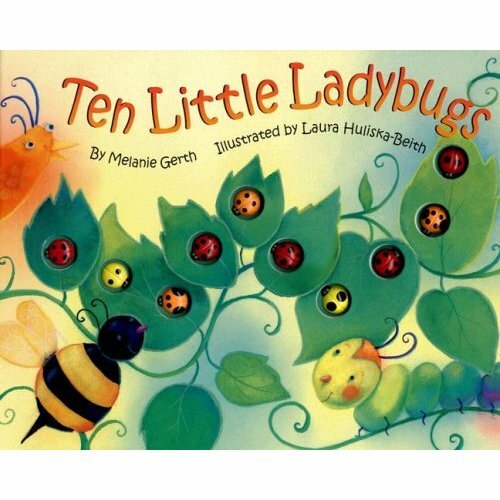 Next we read Ten Little Ladybugs which always scares me because I feel like the ladybugs are being eaten. I know, I know, the ladybugs all appear again at the end but I fear they may be ladybug ghosts. 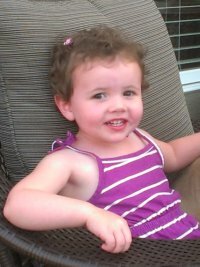 "I see dead (ladybugs)... walking around like regular (ladybugs.)" AHHHHHH! That was enough book time though because I was very excited to try MY NEW SWING. It's AWESOME! Where are my Cliff's Notes?